[SatNews] Onlime proved to be a winner at this year's Satellite2015. 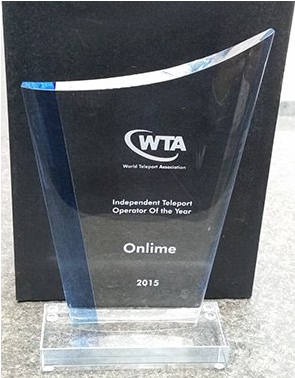 The Teleport Awards from the World Teleport Association (WTA) presented Onlime as the winner of the 2015 Independent Teleport of the Year. The award presented by the WTA (World Teleport Association) during the Satellite2015 in Washington D.C. 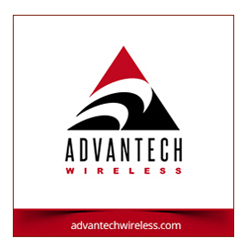 Since 1995, WTA has presented annual awards to companies and individuals who have dramatically demonstrated excellence in the field of teleport operations, development and technology. Recipients are selected by committees of previous recipients, WTA Board members and management, and Industry Leader and Patron members. “Onlime has consolidated multiple facilities and services into a very forward-looking teleport operation that is a good model for serving a range of customer segments," said Louis Zacharilla, Director of Development for WTA and the emcee of the Awards Luncheon since 1995. “It is a great honor and privilege to be recognized by the industry peers and previous recipients. This Award is often considered an Oscar of our industry and rightly so. It is an elite club that we are so proud to become a member of. We have continued our extensive investment program at the teleport and now have all the attributes in place—infrastructure, services, brand, operations and the TEAM to succeed and keep delivering high-quality services” said Paul Ziegler, Onlime CEO.